Acne can be a frustrating condition to live with. Not only do you have deal with persistent breakouts, but many also face the reality of treating acne scars. Many of our patients who suffer from acne turn to us and ask what they can do about their acne scarring. While treatment can vary depending on the severity of each patient’s condition, in this article, we’ll cover the basic steps you can take to prevent and treat acne scars. Acne scars are areas of pitted or raised skin. They’re the direct result of damage to the skin due to acne. When you develop acne, your body attempts to repair your skin by producing and forming collagen fibers. If your body doesn’t produce enough collagen, pitted scars can occur. If your body produces too much collagen, raised scars can occur. Rolling scars: Shallow scars with soft, smooth edges. These scars give the skin a wave-like appearance. Boxcar scars: Shallow scars with sharp, defined edges. They generally appear as small imprints on the skin. Icepick scars: Deep, narrow scars that resemble an empty pore in the skin. These tend to be the most difficult acne scars to treat. Hypertrophic or keloid scars: Raised scars that commonly appear as red spots. These scars may be itchy or otherwise irritating to the skin. For more context on these differing types of acne scars, we recommend reading this article written by acne.org called The Guide to The Types of Acne Scars and Available Treatments. Acne scars are not genetic. However, while acne scars themselves aren’t a genetic condition, certain genes can influence how likely you are to develop acne in the first place. If your parents struggled with acne, it’s likely that you could too, which can ultimately lead to the development of acne scars. While it may be tempting to pick at or pop a pimple, it’s important to remember that this typically does more harm than good. When you pop a pimple, you release all the oil, bacteria, and debris out of the pimple and onto your skin, leaving an open wound. Not only can this create more acne, it can also lead to scarring as it interferes with your skin’s natural healing process. 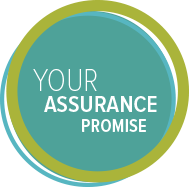 One way to eliminate the urge to pop or pick at your acne is to cover stubborn pimples with hydrocolloid bandages. These bandages help your skin heal faster and prevent you from causing any damage that could lead to scarring. Damage from the sun can darken spots and scars from acne. We recommend applying sunscreen with at least SPF 30 every day, all year round. If you remain diligent about wearing sunscreen every day, any acne scars you develop will be much less noticeable because your skin will not be subject to sun damage. Keeping your skin moisturized can help you maintain a plump, healthy appearance. Not only does moisturizing help your skin’s healing process, but it also helps existing acne scars look less noticeable by unifying your skin’s tone and texture. To avoid drying out your skin, we recommend limiting hot showers and applying moisturizer twice a day. In order to prevent scars from occurring in the first place, it’s important to stay ahead of future breakouts and get your acne under control. Products with ingredients like salicylic acid and benzoyl peroxide can target the acne you currently have while also preventing future breakouts. Also, making lifestyle changes such as changing your pillow case more often, staying hydrated, and getting more sleep helps prevent acne from developing in the first place. If products and lifestyle changes aren’t helping your acne, it may be time to seek professional treatment. At Arizona Dermatology, we can assess your skin’s condition and recommend a treatment that’s right for you. Schedule an appointment today to start your journey to clear skin. 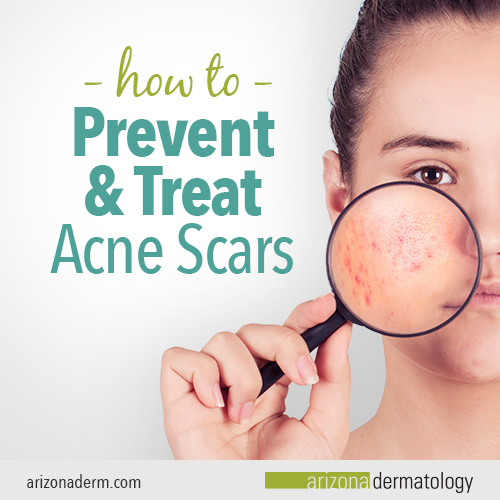 Unfortunately, even when taking precautionary measures, acne scars can still develop. In severe cases, you could be left battling acne scars for more than several years. Microdermabrasion exfoliates the outermost layer of your skin using a diamond tip. The exfoliated skin is suctioned through an attached vacuum, removing dead skin cells in order to improve the appearance of acne scars. Microdermabrasion also works to improve skin texture and reduce poor congestion. Chemical peels use acids of varying intensities to remove acne causing bacteria and reduce the discoloration and scarring caused by chronic acne. We offer chemical peels with light, medium, or heavy depth depending on the condition of your skin. Our chemical peels include minimal downtime and lasting results, making them a great option for treating acne scars. Chemical peels and microdermabrasion are two of our most popular treatments for acne scars. To learn more about these two treatments, check out our article Microdermabrasion or Chemical Peel: Which Treatment is Right for You? Micro-needling uses fine needles to create “micro-tunnels” in the skin. These tiny wounds help the skin produce collagen in order to heal itself. Medication that targets acne is applied before the procedure and is driven into the skin by the needle instrument. This enhances the effectiveness of the medication. This procedure works to plump deep scars, reduce pore size, and improve skin texture. If you’re in a position where your chronic acne has cleared, laser skin resurfacing is a great treatment for you. Laser skin resurfacing can remove any lingering scars. This treatment works by removing the top layer of skin with a short pulse of light from a laser. The heat from the laser stimulates collagen production in the second layer of skin, resulting in rejuvenated skin that’s firm and evenly colored. If you’re interested in one of our treatments mentioned above, or have questions about anything discussed in this article, we’re here to help. Schedule an appointment today to get your acne scar questions answered.